Powerful rare-earth magnets hold doors securely closed—stainless steel L-bracket mounts make them ideal for boats, RVs and outdoor use. 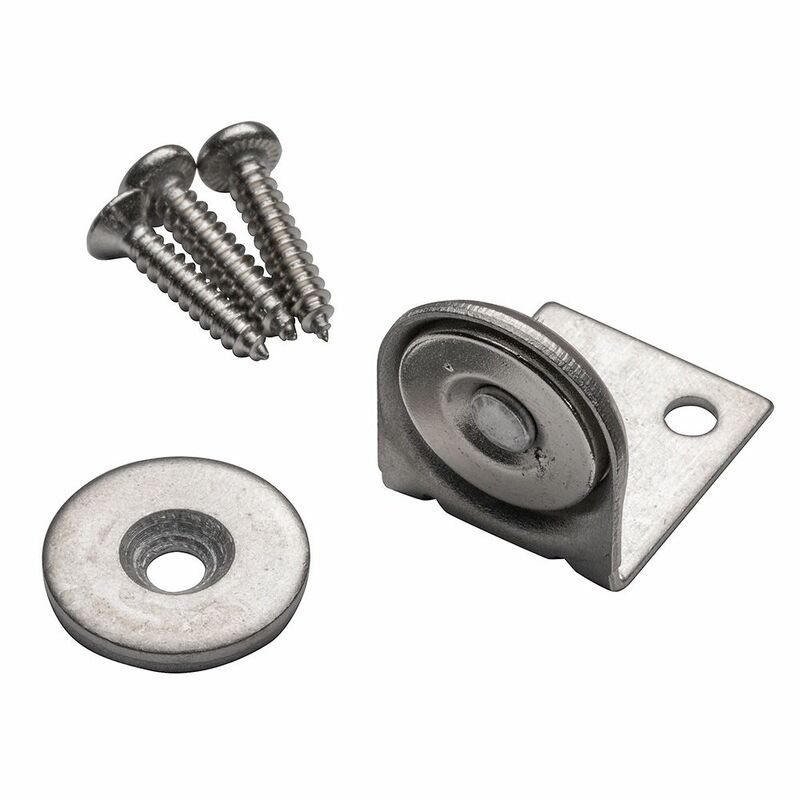 These magnetic catches are housed in 204 stainless steel L-bracket mounts specifically designed to stand up to marine use, outdoor use or wet environments like kitchens and bathrooms. Each mount houses a single rare-earth magnet that holds the door, drawer, lid or gate securely closed. 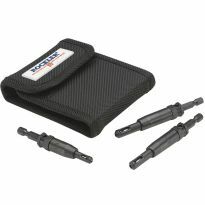 Available in several magnet sizes for varying hold strengths. 204 stainless steel housings for excellent corrosion resistance. Nickel-plated rare earth magnets hold doors securely closed. 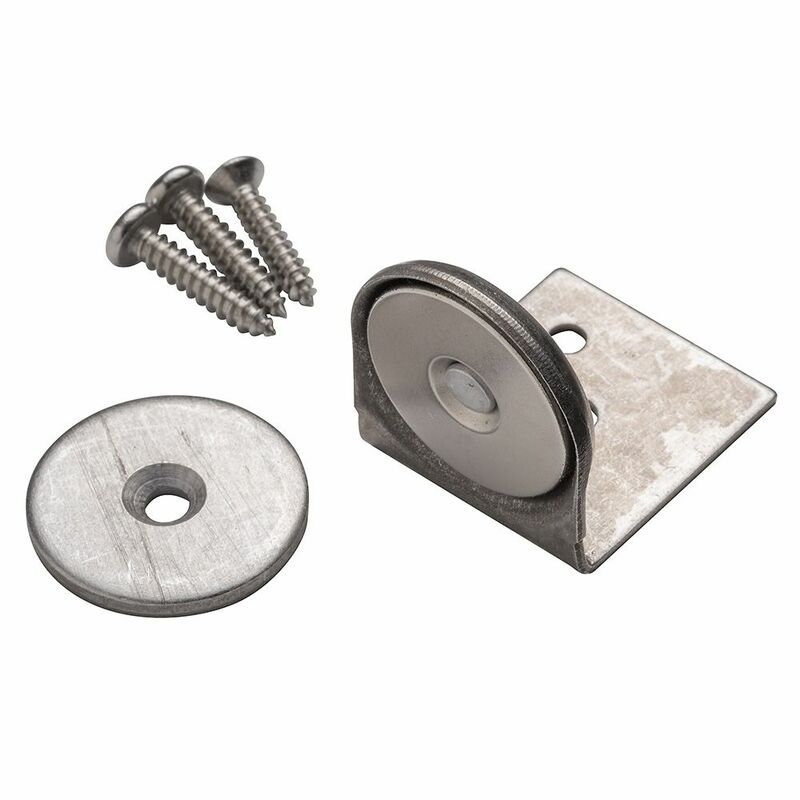 Strike plates are 3mm thick and can be recessed to reduce the gap between cabinet and door. I fixed a drop lid desk top that was always opening at inopportune times. Magnetic closers that won’t open unless you want them to. 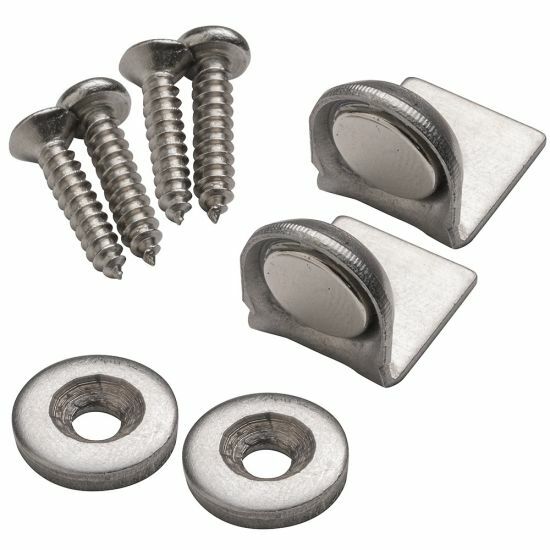 These cabinet magnets can replace those cheap magnetic closers that never work right and always need adjustment. Today’s furniture is mass produced and poorly made. 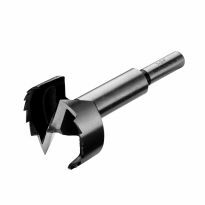 To save costs, manufacturers choose the cheapest or most cost effective magnetic closers...cased in a plastic rectangle with two little magnets on edge that never work correctly. 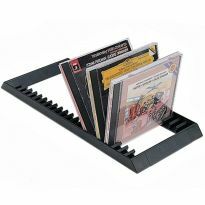 Replace them with these thoughtfully designed, rare earth magnets that will keep your cupboards closed until you open them. Accidental jarring or vibration will not dislodge these magnets. The stronger the hold of the magnet, the larger the size, so select carefully the amount of hold you really need, and buy appropriately. The best cabinet magnets I’ve yet found. Magnets were strong enough to close a warped cabinet door properly. These magnetic door holds at he door tops alone with the rubber stops at the bottom worked exquisitely well, even correcting a slight warp on one door. It works as advertised. It does exactly what I expected. 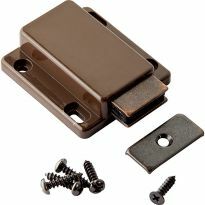 I used the 20 lb version of this magnet to try to keep the folding step on my fifth wheel trailer from bouncing out while going down the road. I found that the amount of force needed to pull the step out was no different than it was before. I think because the step is so heavy. Anyway, I’ve ordered some 90 lb magnets from amazon for the step and i’ll use this magnet for something else. These 10-lb. magnets were not strong enough to hold 3' wooden cabinet doors secure. I had to upgrade to the 40-lb. magnets, although I could probably have done well with a size in between the 10 & 40 lb. sizes. I'll try these 10-lb magnets on my mailbox door. 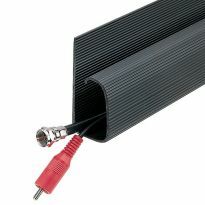 Needed strong catch for outdoor gate. To latch a "hidden" access panel on the side of a custom Hi-Fi cabinet. Cabinet door closures in our travel trailer. 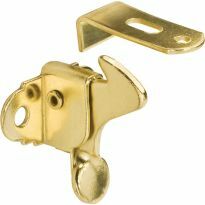 been making furniture for a long time and have not found a cabinet latch I really like. hope this is it. 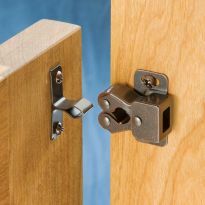 what are the dimensions of these latches? I am building a hidden compartment cabinet and I am looking for a magnet lock system that can only be opened with the magnet. 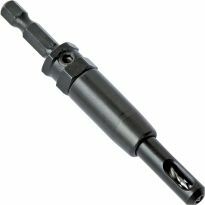 What type of lock do you recommend? What are the measurements for these catches please ? BEST ANSWER: The angled bracket measures 9/16" by 5/8" on the rectangular side and 9/16" by 11/16" on the rounded (magnet) side. The metal washers are 9/16" in diameter.